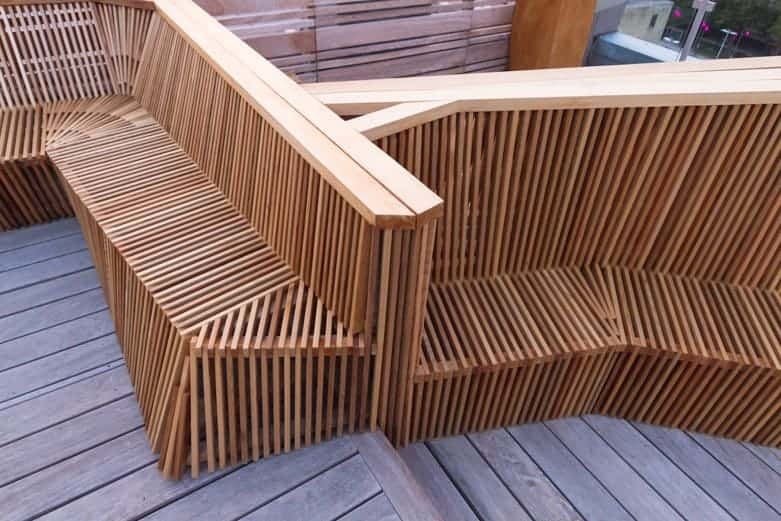 Here is one of our most challenging and fun projects we have done! 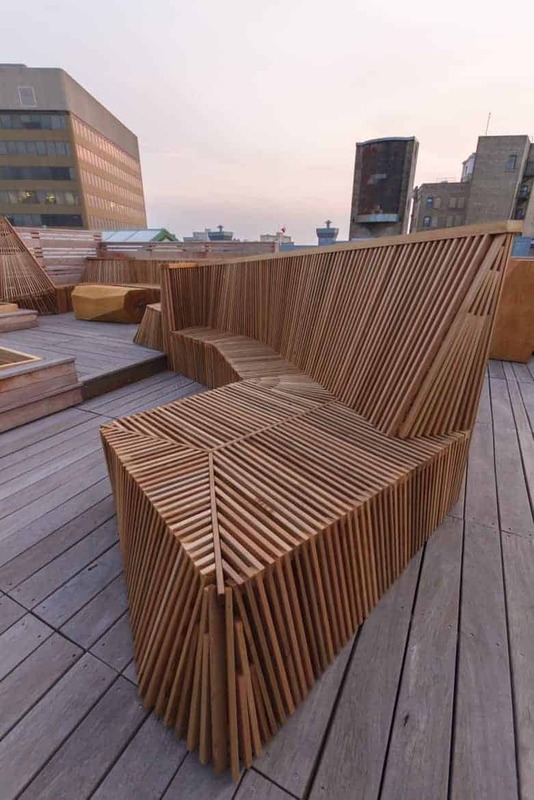 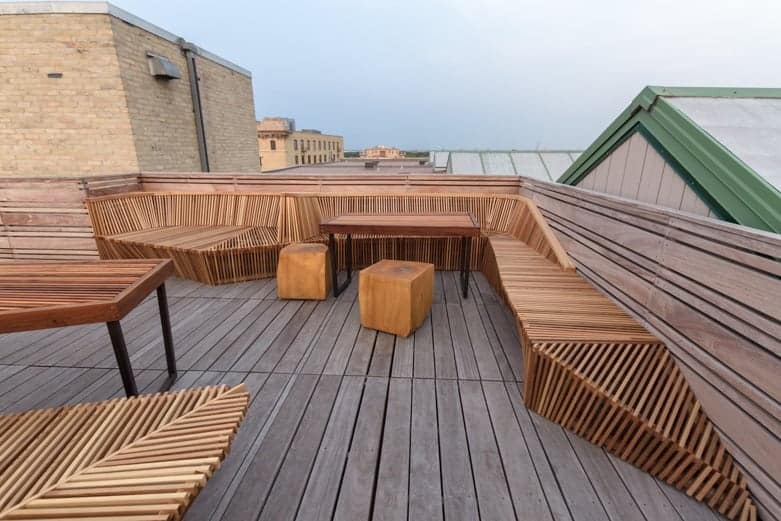 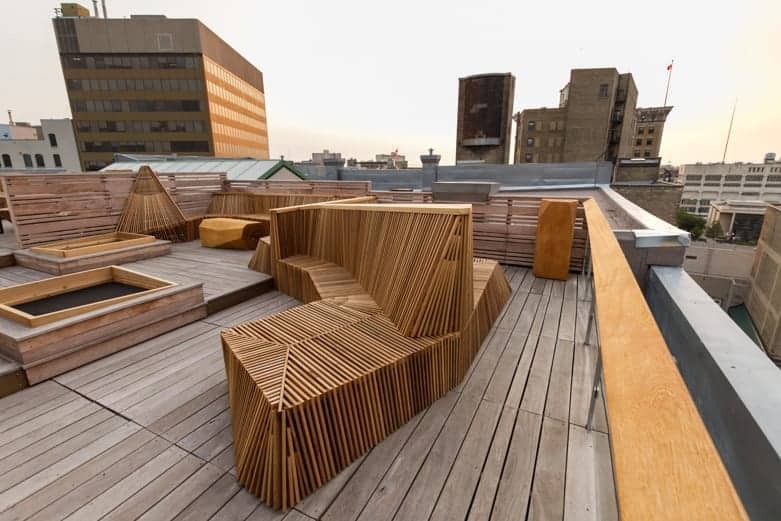 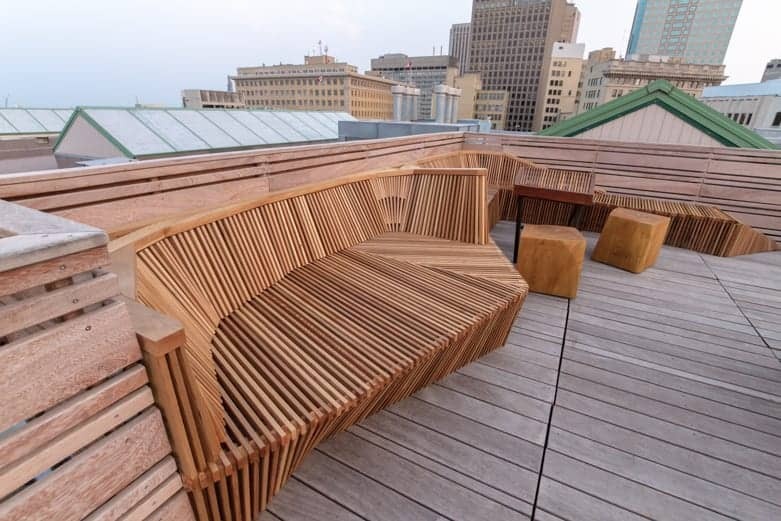 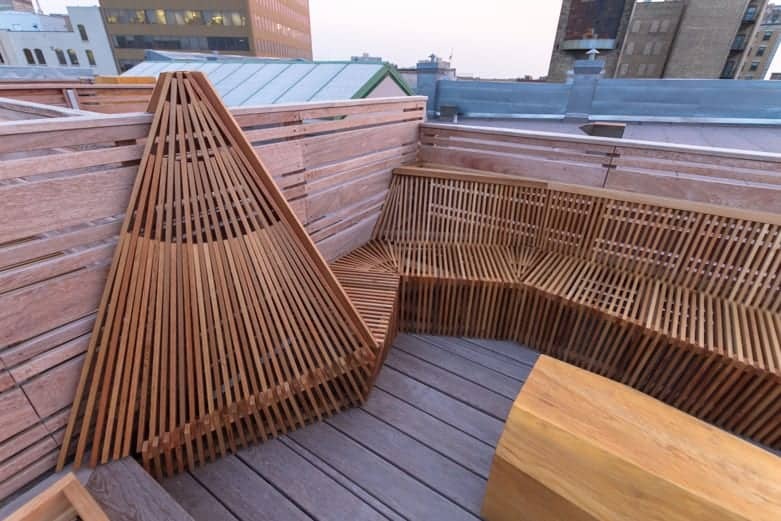 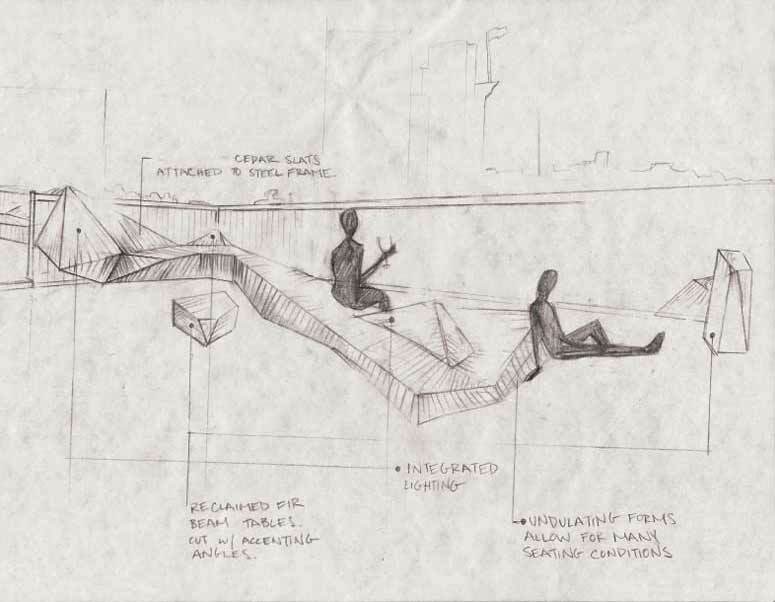 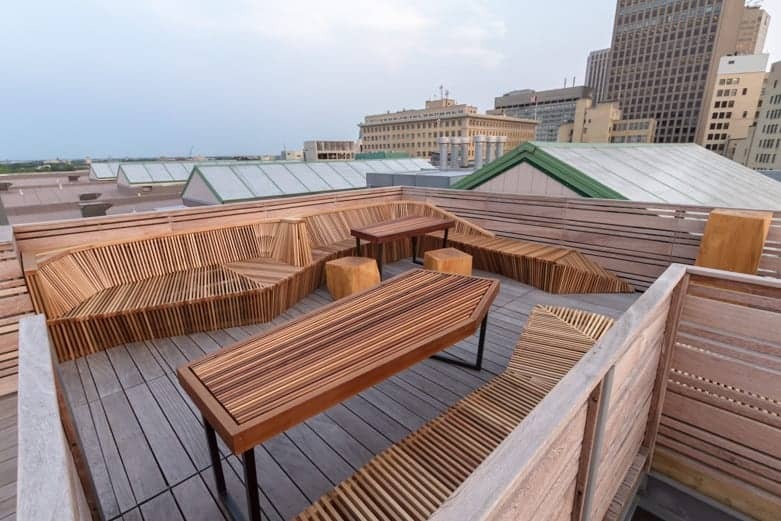 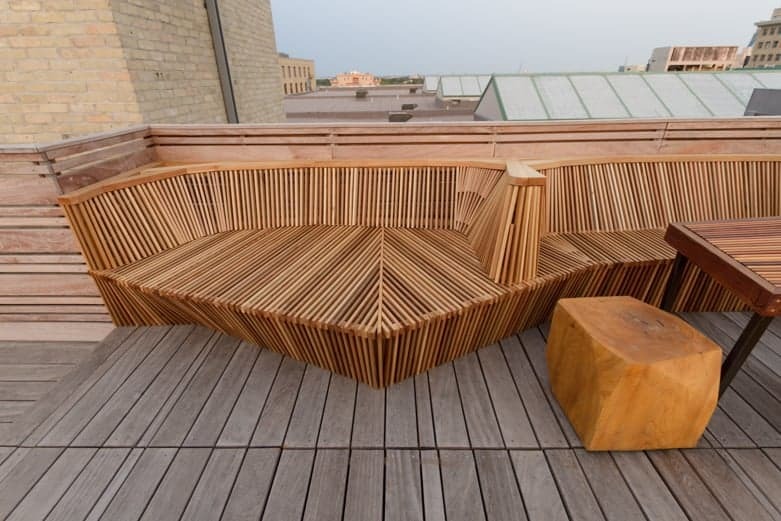 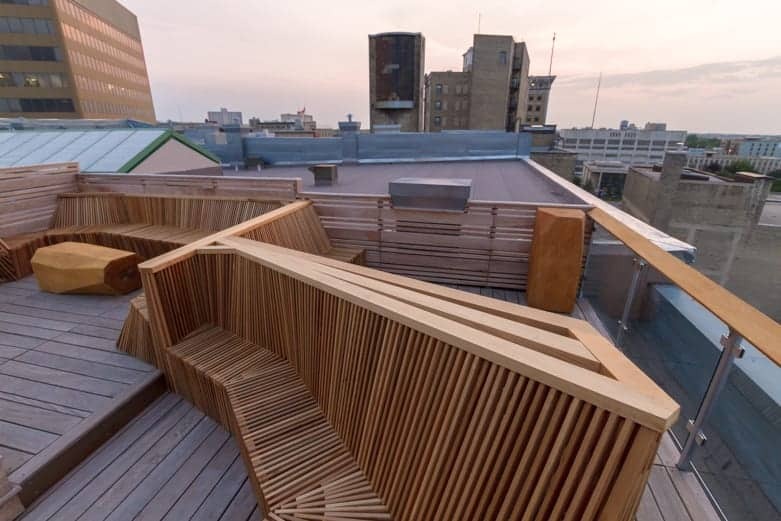 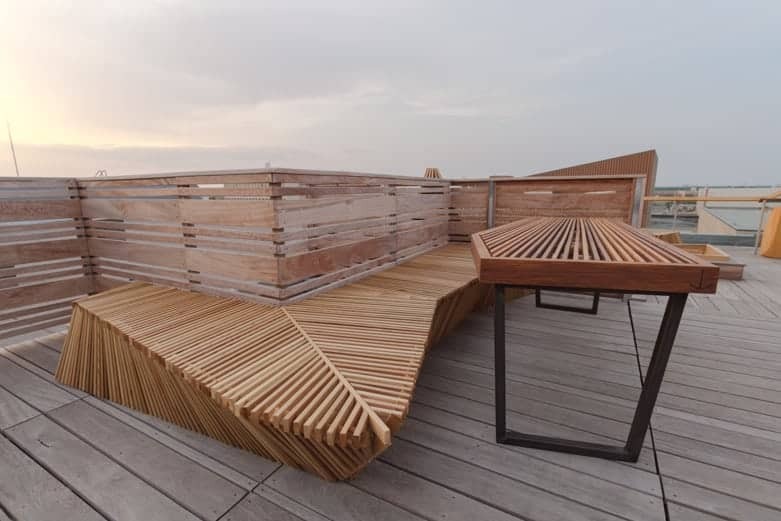 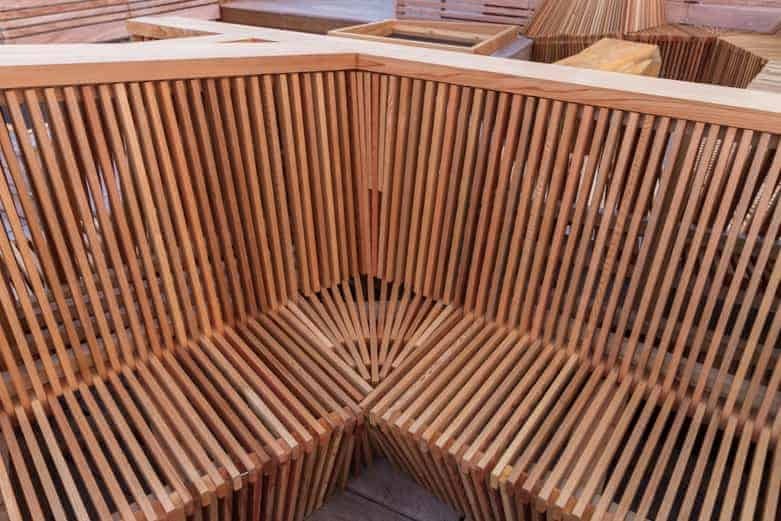 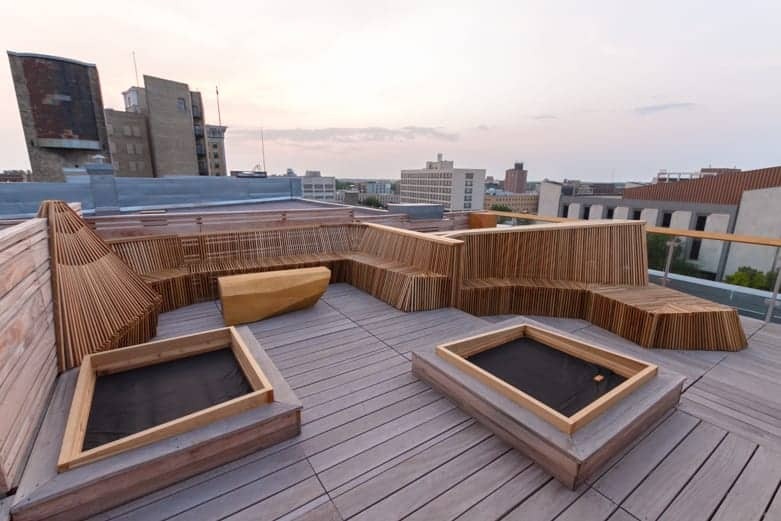 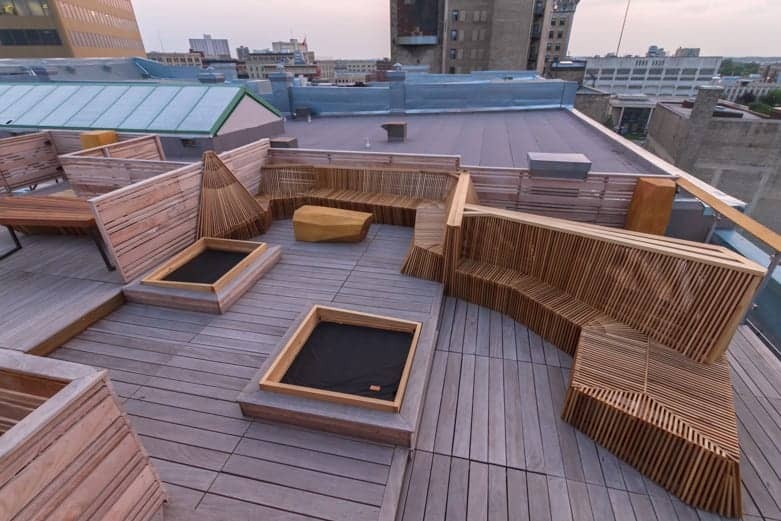 A great challenge because of the where the space is and how we were going to get all the benches, tables, and stumps on a six story roof top with no inside access to a freight elevator. 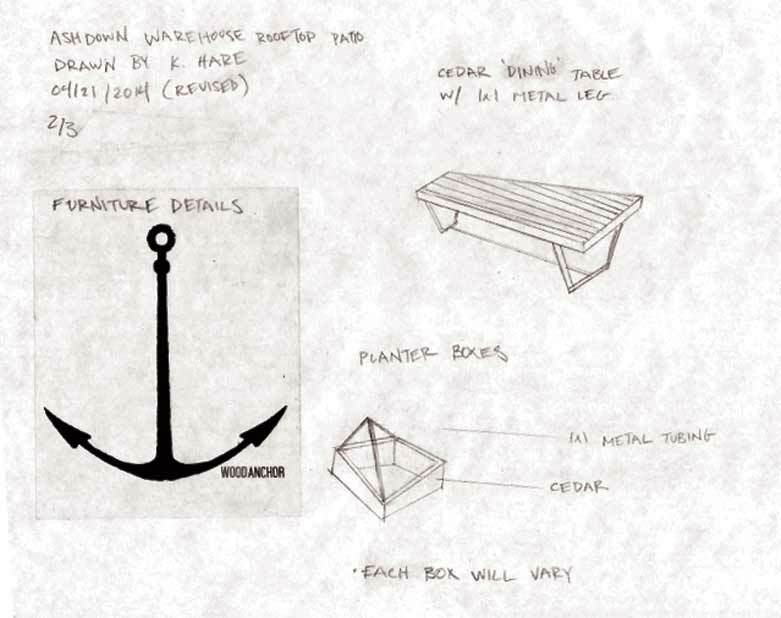 True to Wood Anchor fashion we were up to the challenge! 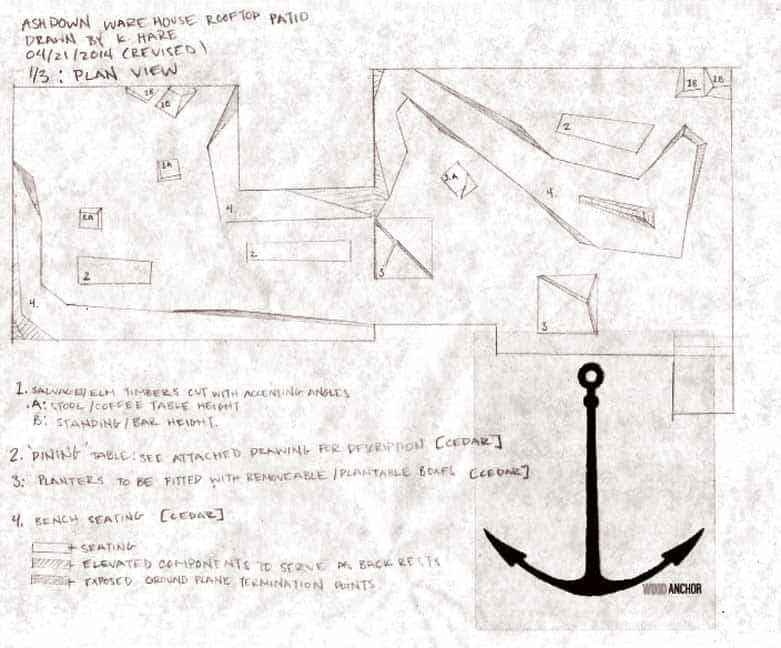 Here’s is our designers conceptual description. 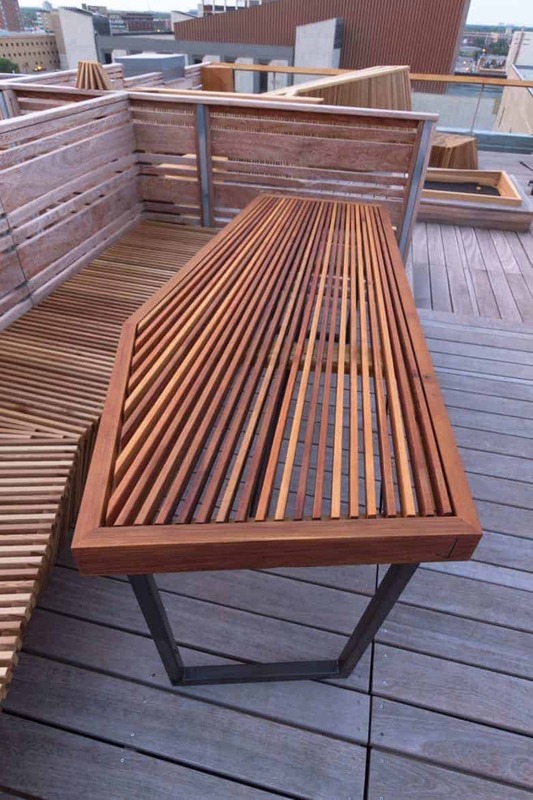 “As reclaimed wood artists it is always our intention to create beautiful and functional pieces that stand the test of time through materiality as well as form. 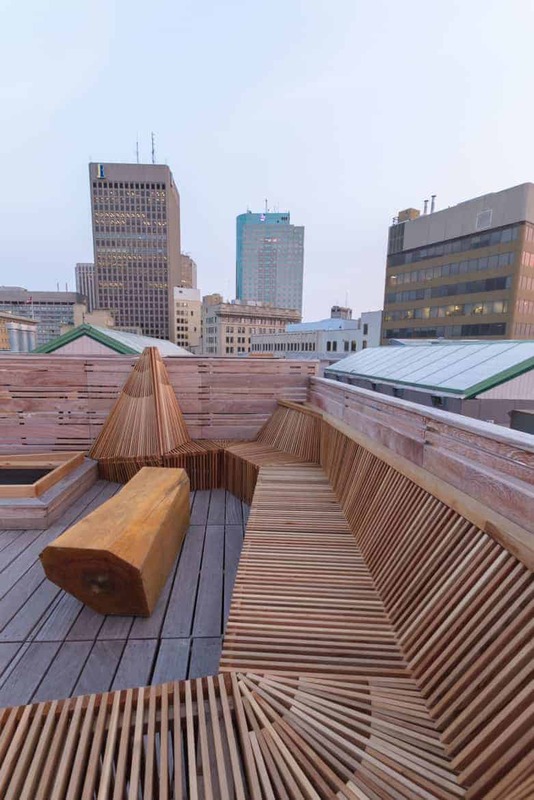 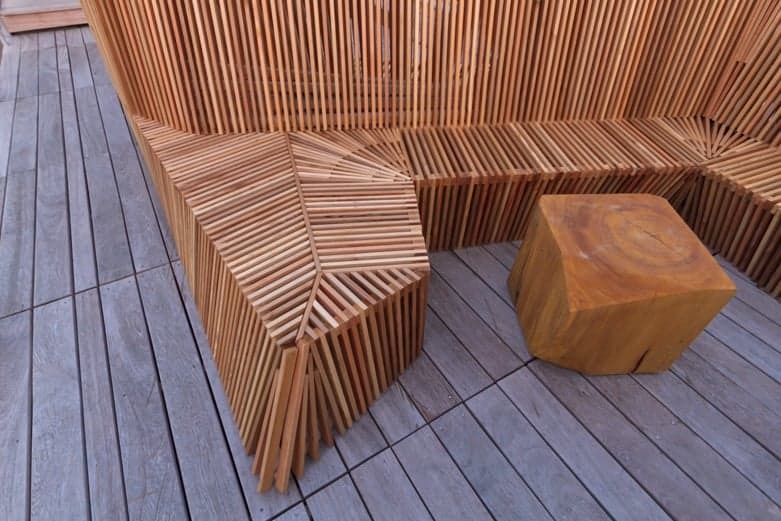 Using cedar to sculpt the physical elements within the Ashdown warehouse design we create intimate space-to-gather upon as well as gaze out into the skyline.